Thursday night driving away from the house and our friends was hard, but it was reassuring to have another night in Oklahoma City at our close friends’ house. Liz and David are wonderful hosts, and I felt some of the weight of the week lifting off my shoulders after a hot shower, a glass of wine, and some hilarious conversation. We woke up early Friday morning and had breakfast with Liz and her son before heading to the closing. 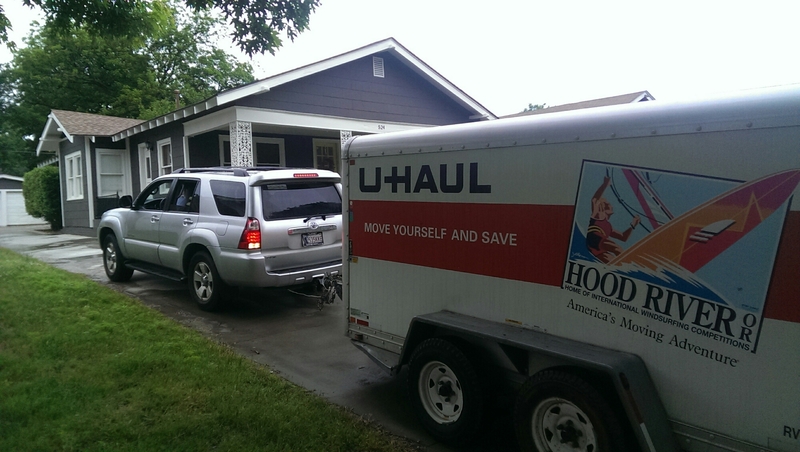 The closing itself went smoothly, and before we knew it, we were free of the burden of home ownership. As I’ve mentioned in the past, while we loved owning our own home, we did not enjoy all of the upkeep and expenses. Maybe that sounds lazy, but we just enjoy spending our time doing other things than yard work or repairs. A very large burden was lifted with the last stroke of the pen when we signed away our house to the new owners. Soon after we hit the road and drove straight to Tulsa for a coffee break with Kirk’s parents. Immediately after sitting down it began raining hard. Perhaps we should have checked the weather, but we continued our conversation. We said goodbye just before noon and ran to the 4Runner in the pounding rain. After filling up the gas tank we jumped on the highway heading toward Missouri. Between the driving rain and the pools of water on the highway, we weren’t able to do more than 40mph the entire way to Missouri. 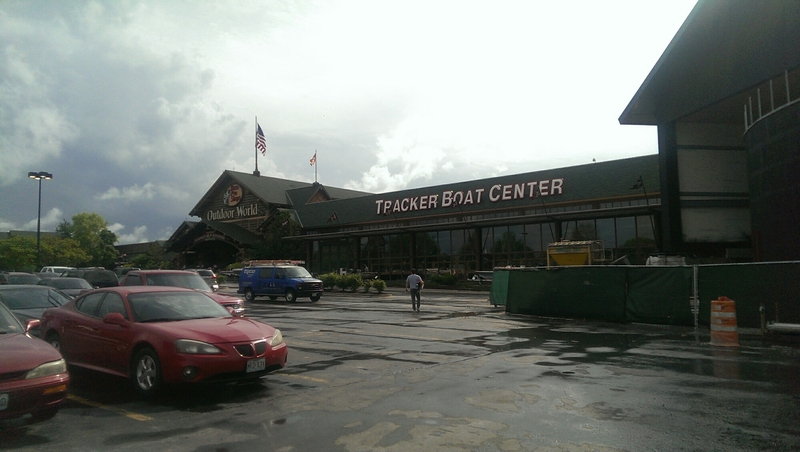 We passed through Joplin and drove straight to Springfield to stop at Bass Pro Shop. We figured it would be good for the girls to have a place to run around and stretch their legs. Normally we would look for a playground, but it was still raining buckets. It took us nearly 4.5 hours to reach Springfield, which is normally a 2.5 to 3 hour drive from Tulsa. After a solid dinner of steak and salmon at Hemingway’s Cafe inside the store, I took the girls to look for pint-sized rain jackets while Kirk fed and walked the dogs. 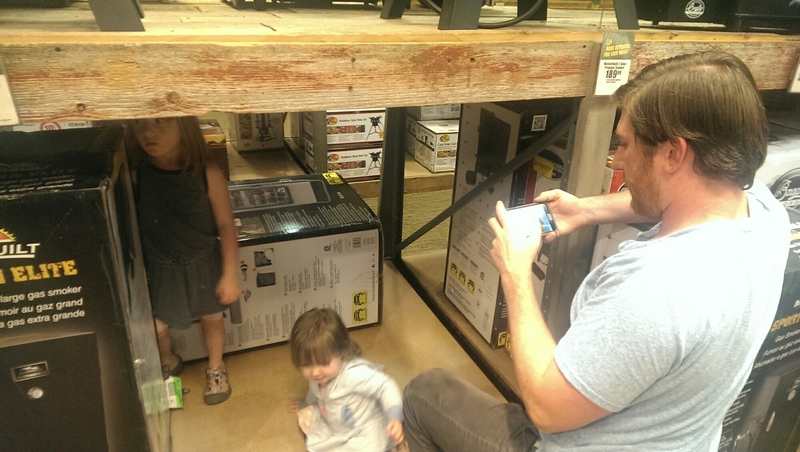 Bass Pro was pretty busy, which made it all the more odd when everyone’s cell phone alarms went off in unison–tornado warning. Within minutes, staff was herding all of us down to the “basement” an area that was mostly tucked underground. I frantically called Kirk and told him to get inside. We found each other and then scoped out the safe area for the best spot. Having lived in Oklahoma for 7 of our nearly 8 years of marriage, we don’t totally freak out over tornadoes. But we were also spoiled in OKC to have some of the best meterologists and weather coverage in the country. So we both felt uneasy being unable to quickly access radar to see where the area of rotation was happening. I tried to chill out while we waited for the weather to pass over while Kirk looked up the radar. Finally, we were able to leave. It was now after 7 and our short stopped had turned into a huge time waste; unfortunately, most of that was due to circumstances out of our control. We hit the road once more and were moving along steadily, until we smelled something funny a little before 9pm. A few minutes later the car and trailer began clunking along, and we knew we had blown a tire. At this point it was pitch black out, and we were in the middle of nowhere Missouri. Kirk got out to look at the tires and confirmed the tire was blown on the trailer. 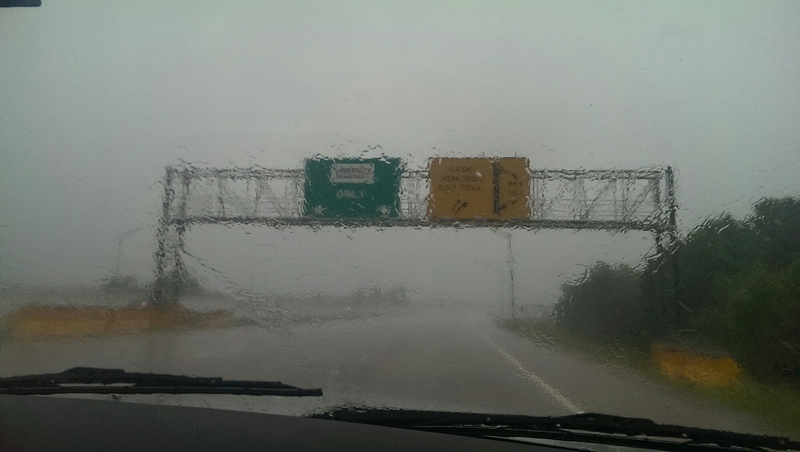 We were 2 miles from an exit, it was still pouring, and cars and semis were flying by. We got in touch with Uhaul who promised to send a local tire person to fix us up. Normally Kirk would do it, but the trailers were not equipped with spares or a jack. We decided to limp off the highway to find a safer place to park. Sleeper, MO: home to…..nothing. There was absolutely nothing around for miles and we were totally stranded. About an hour later the local tire repair person showed up. He was an absolute angel in coveralls. Within about 15 minutes, he had switched out our tire and checked the others. Curious (as he often is), Kirk apologized for interrupting his evening and asked if we interrupted anything with our call for help? Bob, the repairman, explained that he had just wrapped up hosting a monthly dinner at his house for about 60 people recovering for additions. He then promptly asked Kirk if he had been saved and then prayed for the rest of our journey, in the rain, in the dark. Angel, indeed! The rain picked up again, and once more we drove with the storm. Over the course of the next hour, we saw four separate accidents. Needless to say, we were white-knuckling it the rest of the way. We reached our hotel outside of St. Louis just shy of midnight and were asleep by about 1:30am. 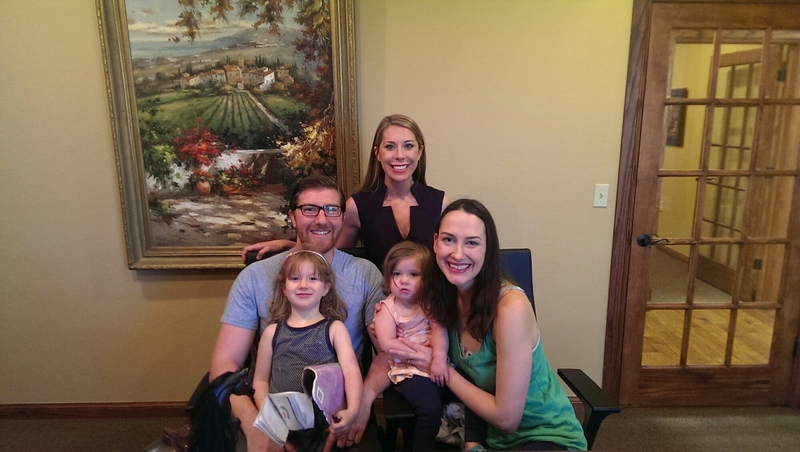 In the final installment, I’ll share the last leg of our journey–St. Louis to outside Chicago!